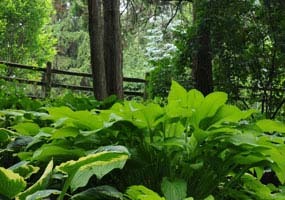 The Hosta Garden is a beautiful, shady and peaceful area in which to take a quiet stroll. A sloping hill in the Arboretum has been transformed into paths, retaining walls and areas of garden for the hostas. Opened to the public in 1997, it features almost 300 different species of hosta. 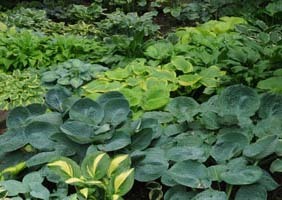 For more information on the Hosta Garden, please contact Friends of the Farm.